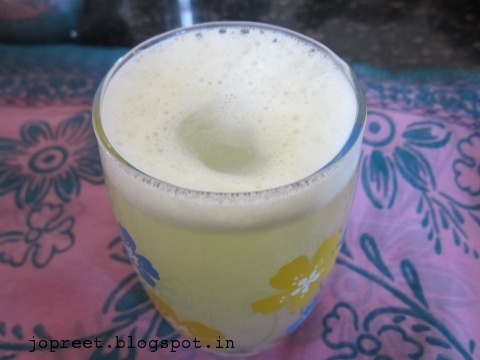 Sweet Lime / Mosambi juice is good for health and keeps you fresh. 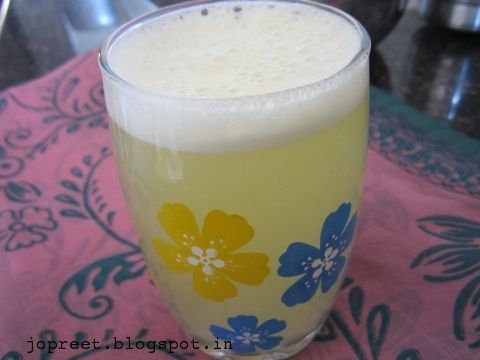 Mosambi is rich in citric acid. You can add lemon juice and dried mango powder for additional taste. Cut the mosambi into two equal halves. 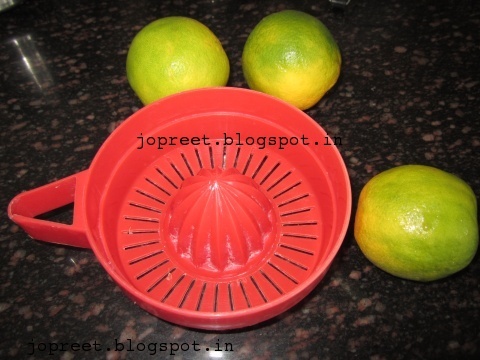 Squeeze out the juice using squeezer. Add sugar and blend it using mixer or blender. Add water and mix well. Serve chilled. Add lemon juice if needed.